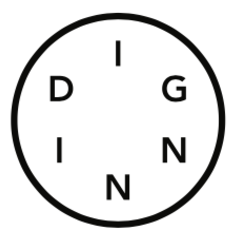 Were in search of a kitchen & business leader with culinary chops, a strong ability to inspire & teach others, a passion for real food, & the management skills to run a group of restaurants for Dig Inn. Youre in charge of driving results in your cluster of restaurants & for the company at large. Youll collaborate with the Dig Inn Support Team to run best in class kitchens & operations. You are adept at reading financial reports & can translate those trends into actionable results. Youll be an inspirational leader for your team, nurture the next generation of chefs at Dig Inn & keep the love of cooking in the kitchen. You will have direct oversight over a few of our locations & directly manage 2-4 of our Area Chefs. You will report to the Chief Culinary Officer, & work closely with the Executive team. Encourage a learning environment by ensuring our chefs are always training & teaching cooks. Create a passionate culture in which people love to cook & feed others - & experience that joy every single day. Translate business trends into innovative menu dishes & specials that our chefs can execute to drive their business forward. Ensure our restaurants exceed all DOH food & safety standards. Continually improve our kitchen operations to maximize efficiency & meet food & labor costs. Be a voice of calm & confidence in high pressure situations & demonstrate leadership through adept problem solving. Train our restaurant leaders how to efficiently run the business, cook delicious food, & serve our communities. 10 + years running kitchens & strong culinary acumen. 5+ years of multi unit experience in restaurants. Solid communication (verbal & written) skills. Strong work ethic & an obsession for getting the job done well. Ability to problem solve in situations involving many moving parts. Two words: organization & cleanliness. Dig Inn is a farm-to-table food company with over 25 locations in New York & the Northeast, serving seasonal vegetables & culinary comfort food on an urban scale. The company is built on a culture of driven curiosity & ambitious innovation, finding & implementing new solutions to offering a simple, healthy, affordable meal. Our mission is to build a better food system (one vegetable at a time) that offers a better deal to customers, cooks, & farmers alike. Since getting started in 2011, we have focused on the essentials of our mission building kitchens, training chefs, & developing one-on-one relationships with over 50 partner farms. The next few years will be a period of expansion, as we open in new cities & use the platform weve built for a better conversation around sourcing, cooking, & the business of food. And did we mention free Dig Inn for all employees? We strongly recommend the sweet potatoes.